This lesson is about Egyptian Hieroglyphic Writing. Ancient Egyptians used hieroglyphs in their writing system. It is called Egyptian hieroglyphic writing. 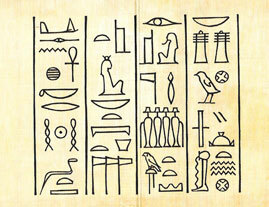 A hieroglyph is similar to a character or letter in an alphabet. Papyrus was a plant grew well in the Nile delta (mouth of the river Nile). How did Ancient Egyptians use the reeds of papyrus plant? How did Ancient Egyptians make paper from the papyrus plant? 1) Workers gathered (collected) papyrus. 2) The outer case of the papyrus was peeled off and the inner core was cut into strips. 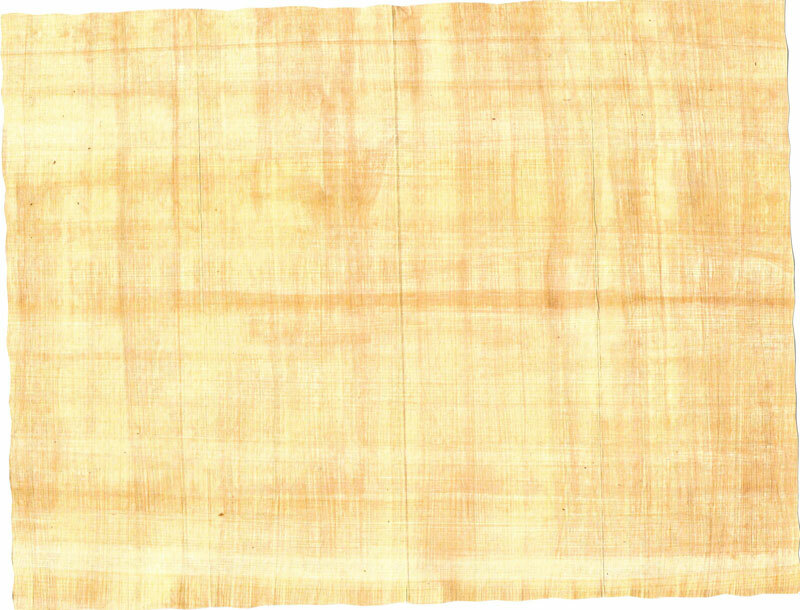 3) Papyrus strips were laid horizontally and vertically to make a page. 4) Cloth was put on the papyrus and beaten with a mallet (hammer). 5) The papyrus paper was rubbed smooth with a stone and scribes wrote on papyrus using reed pens. What was ‘the book of the dead’? 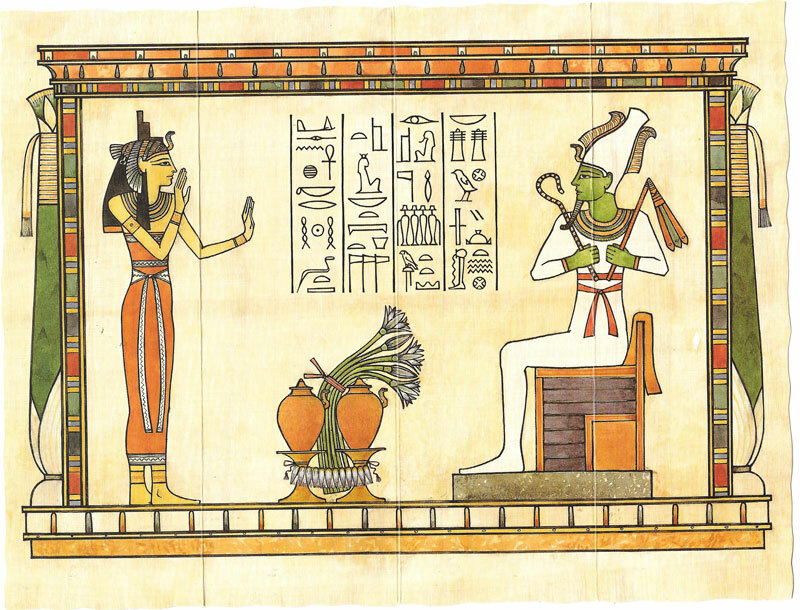 The book made of papyrus which Ancient Egyptians buried with the dead body was called the book of the dead. Why did Ancient Egyptians bury a book like this with the dead body? Because the Egyptians believed that this book helped the person to have a new life after death. What is meant by hieroglyphics? The ancient Egyptian writing system is called hieroglyphics. Each letter of hieroglyphics is called a hieroglyph. 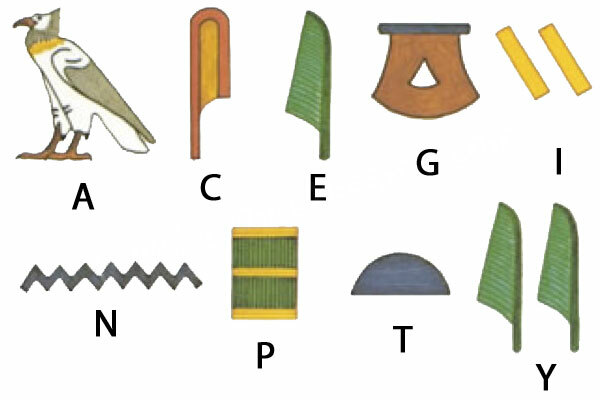 What were used as letters of the hieroglyphics alphabet? 😉 Can you write, ‘Ancient Egypt’ using the above mentioned hieroglyphs? Hunefer was a scribe in Ancient Egypt. How does the hieroglyphics on Hunefer’s tomb describe the following picture drawn in his tomb? 1) Two women are shown in the picture. 2) One of them is Hunefer’s wife. 3) They are mourning the dead man. 4) There are four priests. 5) One is wearing a head of a jackal to make him look like Anubis, the god of funerals. Click here to see the picture, Last Judgement of Hunefer. Old World dogtooth mammal that is active at night and closely related to the dog, but smaller than a wolf. Rosetta stone is a black stone slab covered with two kinds of Egyptian writing and Greek. 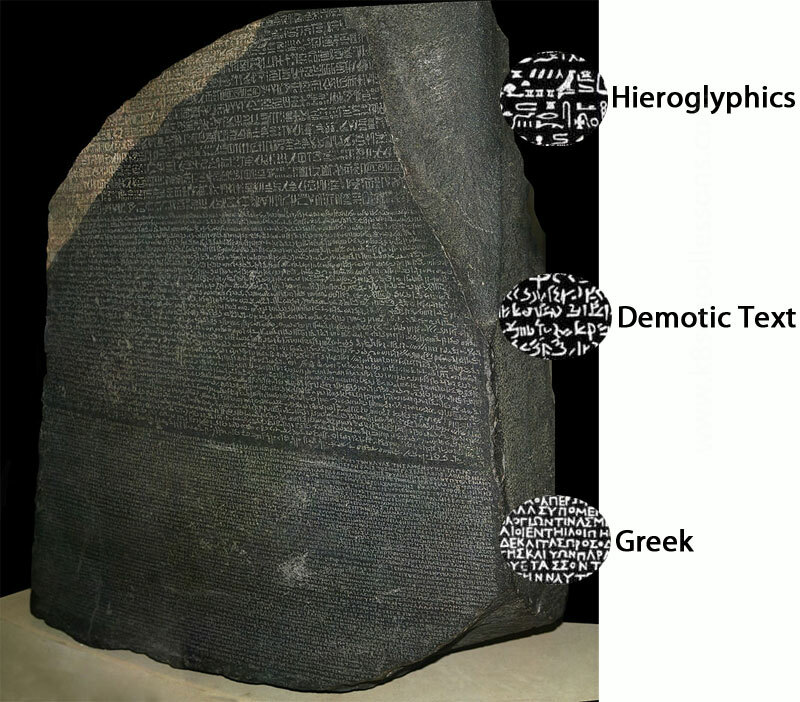 What are the two kinds of Egyptian writing on Rosetta stone? What was written in Greek on Rosetta stone? The same thing written in Egyptian writing is also written in Greek. What were the names written on Rosetta stone? Where can we see the Rosetta stone now? Who worked out the meaning of hieroglyphics using the Rosetta stone? When did he determine to work out the meaning of hieroglyphics? What did he do when he was 25 years old? He broke the code of hieroglyphics and worked out the symbols for the letters ‘p’, ‘i’ and ‘o’. Also, click here to read more about Ancient Egypt.